Asian Sahyogi Sanstha India (ASSI) is a charitable society established in 1996, and is registered under the Societies Registration Act, XXI of 1860, UP. It is also registered with the Viklang Kalyan Vibhag (Handicap Welfare Department, Uttar Pradesh Govt., India), Project Bal Shishu Grih comes under Mahila Kalyan Vibhag (Women Welfare Department, Uttar Pradesh Govt., India) and Adoption Center under (Directorate of Women Welfare). 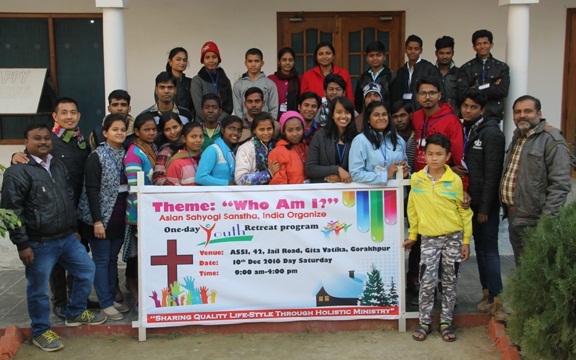 ASSI operates all over India and works for the well-being of the society by making continuous and relentless efforts in the field of social service to the poor and downtrodden. Rehabilitation of orphans, street children, physically challenged, widows and the homeless so that they can live with respect and dignity irrespective of their caste, creed, religion or gender. The tag line of the Organization is “Sharing Quality Life-style through Integrated Ministry” has resulted in thousands of lives being transformed and changed over the last 18 years. ASSI works in various fields through its various projects, like the Sahyog-A-Child project (Railway/Street/Slum kids), School Children Sponsorship Program, Bal Shishu,Grih (Child & Infant Shelter Home), Shelter Home, Literacy (adults & kids) Program, Urban Youth, Family Counseling, Vocational Training for Women, Physically Challenged, Medical Health Camps, Relief & Rehabilitation, Seminars & conferences/ workshops, Economic Development for Rural Community, Community Learning Centers, Microloan Program, Ministry to Prisoners (Welfare), Tailoring & Knitting Training Program, Self-Help Group (SHG) Program, Worm Farming/Vermiculture, Women Welfare Program. Awareness Programs: HIV/AIDS, Japanese Encephalitis, Mother & Child care, Women Empowerment, Environment, and Tree plantation. It maintains a very high standard in its working style and the project it takes up. Each of its staff is dedicated to serve the needy and involve with great commitment as they consider this noble cause next to loving God. 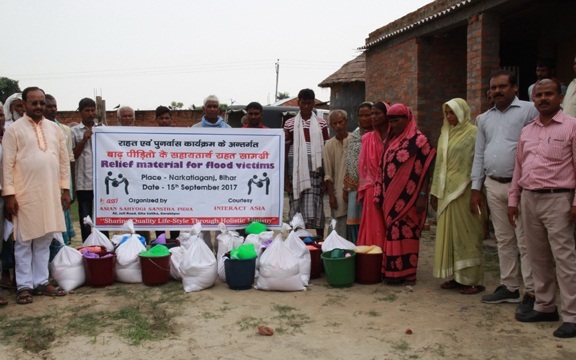 The registered Office and Head Quarter of Asian Sahyogi Sanstha India is located in the city of Gorakhpur, and is setting an example for other NGOs to follow its remarkable streak of devoted and uninterrupted service to humanity. 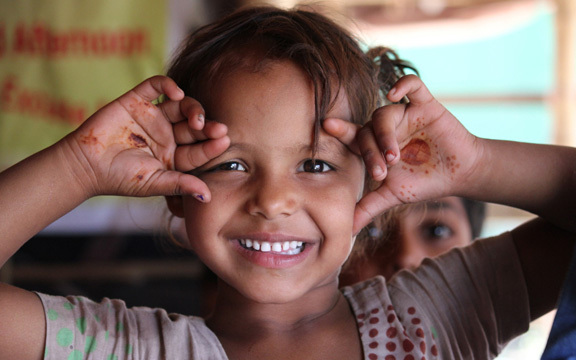 Asian Sahyogi Sanstha is serving hundreds of children under Sahyog-A-child project started in the year 2004. It is meant for children who do not have their own shelter and live at railway stations, streets and slums. Under this project we provide them education, recreation and food for free of cost. ASSI promotes education in rural areas. So we literate children and adults who are illiterate and it has been a change in their lifestyle. They are admitted in formal school after the six month bridge course. We have two formal schools: Gramin Shiksha Kendra, Chehari and Bethel Mission School, Siswa. It is a program that helps ASSI to connect with the community, knowing their needs and empowering local leaders in catering to these needs. It becomes a source of social education for them to know their rights and the facilities provided by the government which they are not aware of. The centers have also been spreading awareness about HIV/AIDS, drug addiction, cancer etc. To ensure a bright future for our country, we need to strengthen and empower our youth. So, we believes that youth can play an important role in nation building and we want to bring them in the right direction. ASSI spreads social awareness among the modern youth and shows the right way to the misguided youth. Occasionally, we organize awareness program in schools and colleges and give career counseling to the youth. Women empowerment is a main objective of the ASSI. So, in order to empower the women in rural areas, we provides some vocational training courses like sewing, cutting, stitching, beautician, candle making etc. Apart from this we give awareness in various issues in regards to women. We got to learn a lot from tsunami tragedy. ASSI considers his duty to serve the people trapped in disaster and provides relief and rehabilitation to victims of natural calamities. So, we organize relief camp, provide health check up and distribute pure drinking water, food packets etc. for the victims. Every year through the medical outreach program, ASSI has been providing health services, education, counseling to the less privileged people who are deprived of healthcare services. Due to lack of proper knowledge on sanitation and proper diet, preventions and precautions many sickness/disease arises. So people are advised to have regular health check up and take care of their health. 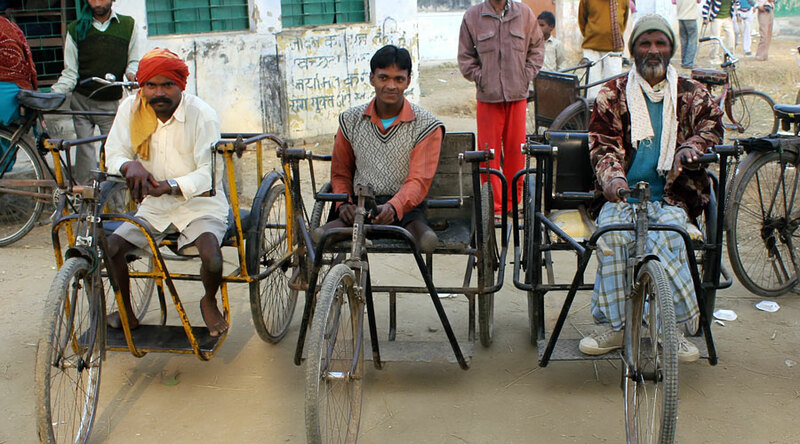 Physically challenged people have the capacity to lead independent lives but they are perceived more as a burden, especially in rural India. Seeing the sheer number of such challenged children and the difficultiesfamily's face, ASSI took the initiative of creating its Rehabilitation Program and also celebrate disability day. 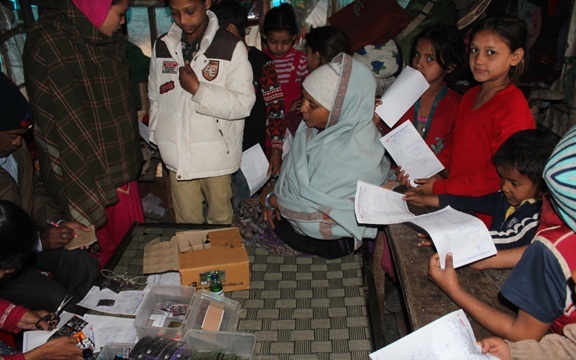 We provides some help to them like tri-cycles, crutches, sticks, shoes, cloths and micro-loan etc. In our society, there are some children who have never seen the face of school due to lack of money or illiteracy. so we give sponsorship to the child who wants to study. We are providing not only school fee but also uniform, books, stationary, bag etc. We also provide them conveyance and fooding facilities. We periodically organize Seminars, Workshops and Conferences for male, female and youths on different issues. It includes mainly, Purvanchal Shanti Mahotsav and Seminar, retreat program, conference etc. for youth. It is beneficial for personality development and inspires us to further path. Our organization is running prisoner’s welfare program. 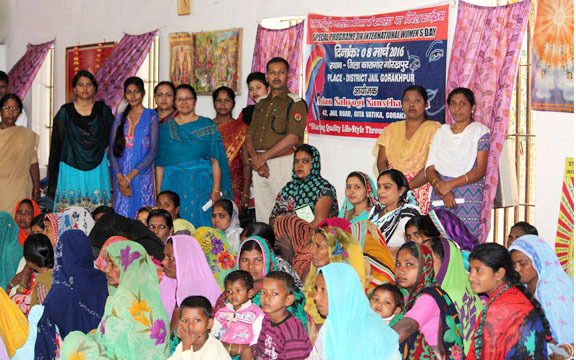 Under this, we are providing better learning opportunity to male, female and child inmates. 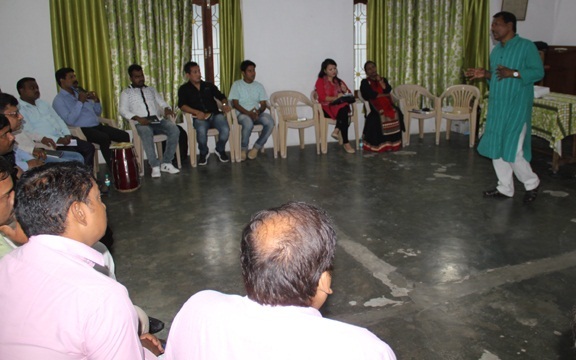 We also organize various training programs for their mental, physical, economic empowerment. So that after release from prison they could change their life and live successfully in the community without interruption and become self sufficient. 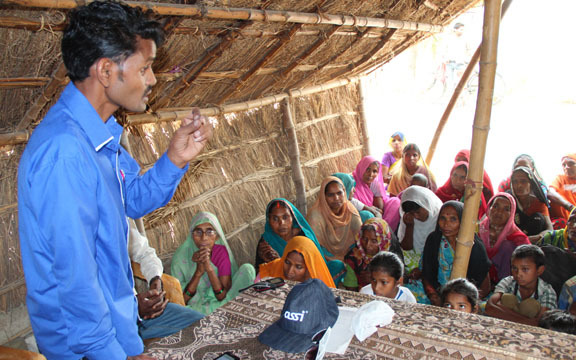 Different types of awareness programs are organized by ASSI for the benefit of the common people. These programs give the people the knowledge and understanding to deal with different situations of life. Through these projects, ASSI helps people to be aware of different issues and how to deal with them like HIV/AIDS, Japanese Encephalitis, Mother & Child care, Women Empowerment, Environment, Tree plantation etc.